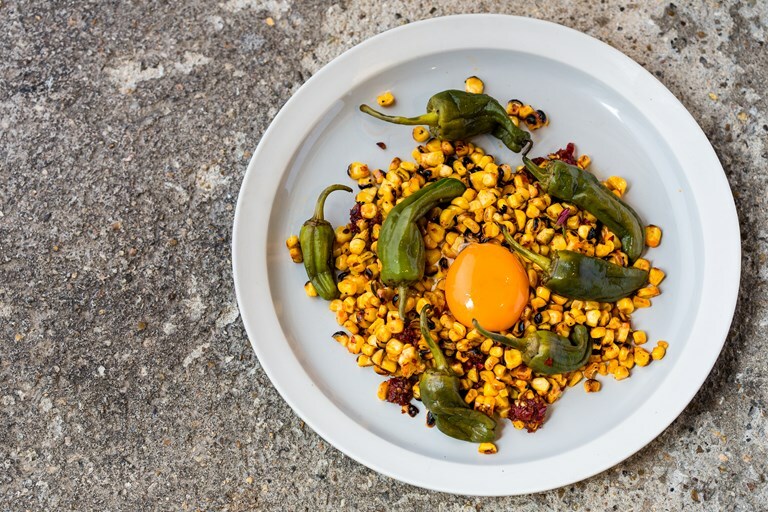 Dan Wilson serves up a delicious mix of charred sweetcorn and fiery 'nduja, served with pickled Padrón peppers and a dollop of crème fraîche for some relief from the sweet, smoky flavours on the plate. 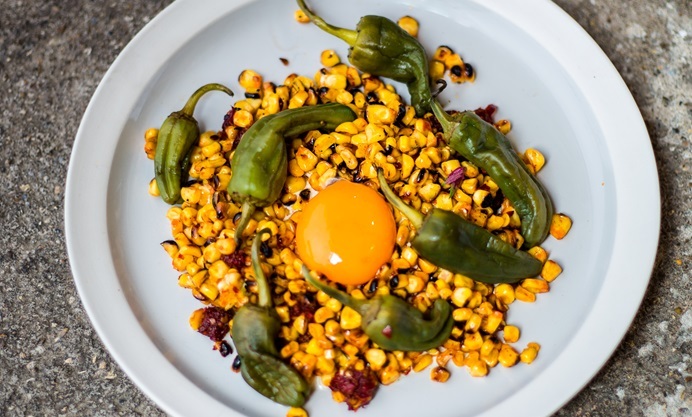 A brunch dish for those who like their day to start with a bracing plate of powerful flavours. I used to make this with the brilliant Greek woman who first taught me how to cook. We used to use frozen corn though and fry it up in a dry pan. Now, with a barbecue and British corn we burn it on the fire and then strip it. It’s simple and f*****g tasty. Bootleg food at its best.